The clamping bar is directly screwed on the press of the bed or ram using a spacer bar. 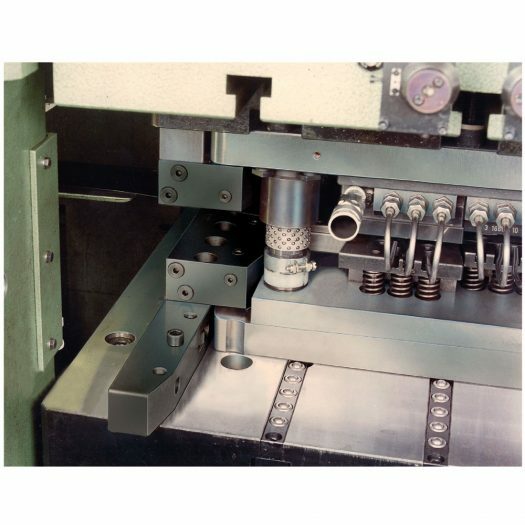 Clamping is carried out on the die clamping edge by applying hydraulic pressure to the port of the 2,3 or 6 pistons which are arranged side by side with a pressure medium. Unclamping is made y pressurizing the port B. 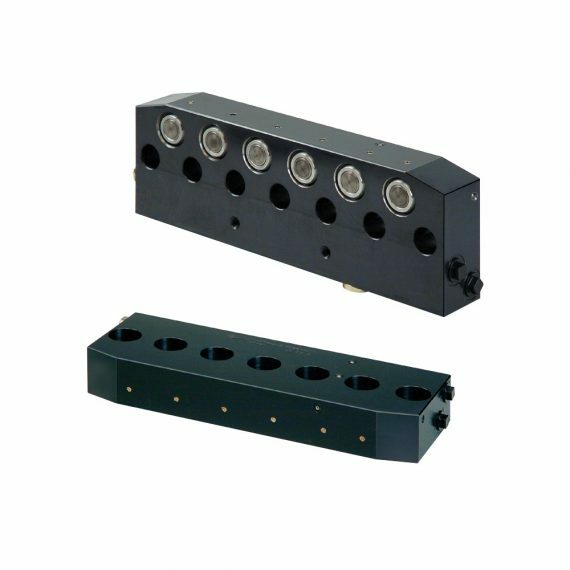 Hydraulic oil is supplied through G 1/4 ports provided on both sides. Flat design with die inlet chamber.